There is a key to unde rstanding faith. Sometimes when we hear phrases like, “count it all joy when you fall into divers temptation” or “be glorious in tribulation”, they seem to be hard sayings that don’t make a whole lot of sense. No one wants to celebrate tribulation. Nobody is throwing a party for temptation, but yet the scriptures teach that these are celebratory conditions. What we need to understand is how God sees these scenarios, and then it will help us to endure. From God’s point of view, everything is connected. He wants us to remember the things that happened in the past. And if we were walking with Him, we should have a testimony. That testimony would say something about Him delivering us from evil…rescuing us from tribulation…and fighting our battles. We would remember Him making a way out of no way. We would recall being snatched out of defeat and lifted up to victory. He would have made impossible scenarios possible. 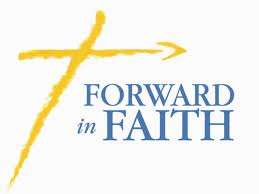 Then, going forward, we would have confidence and trust that would remind us that God doesn’t forsake His people. So for example, there was this little kid in the old-testament who tended his father’s sheep. And he had some experiences in the pasture that would have been difficult for him if he did not have faith. God proved Himself to that young man and he was able to look forward with faith. So, when Israel had problems with a certain giant, this young man was able to open up a can of whoop a–. You see, everything really is connected. We cannot run from our past, we cannot run from our present, and we cannot hide from our future. God doesn’t give the spirit of fear…EVER! He gives us power, love, and a sound mind. So dear reader, don’t let faith remain a mystery, but seize this word and be empowered…for your future awaits! Previous Post My hope is built on nothing less . . .